My Poems on The Furious Gazelle! 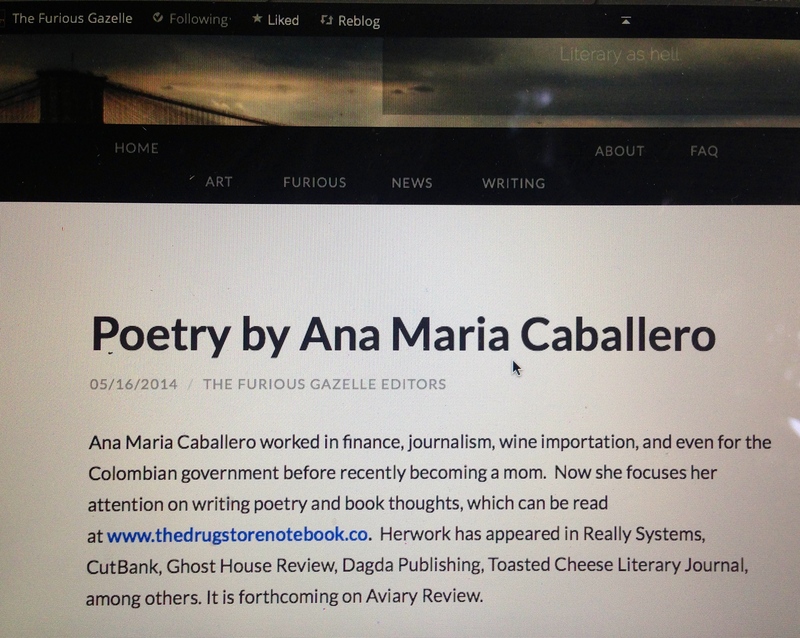 Several of my poems can now be read at The Furious Gazelle literary journal, based out of Brooklyn, New York. Please visit their site to check them out! Elephant Journal published my poem “Bikram Love Triangle”! Thanks for checking out my blog. I checked the Poem for Mom and also got teary. Also liked the bathroom poem. Thank you Charlie. Will head over to your blog now! Your message here is perfect and very well written. May I ask; what inspired you to write this incredible poem? P.S I got some new poems up if you want to read them.